Here is a simple twice baked potato made in the microwave. You won't believe how easy these are and very packed with flavor. Everyone loves these. The best side dish for any meal! The cheese blends make them smooth and fluffy. Looking for an Easy Delicious Side Dish? These potatoes are delicious, light and full of cheese! Ricotta is a lighter cheese so these are not so heavy. 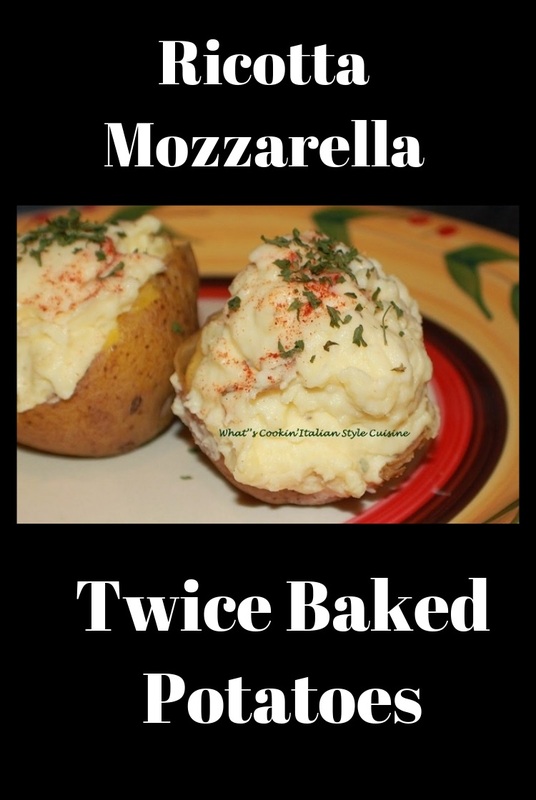 I like to think of them as a loaded baked potato Italian style! 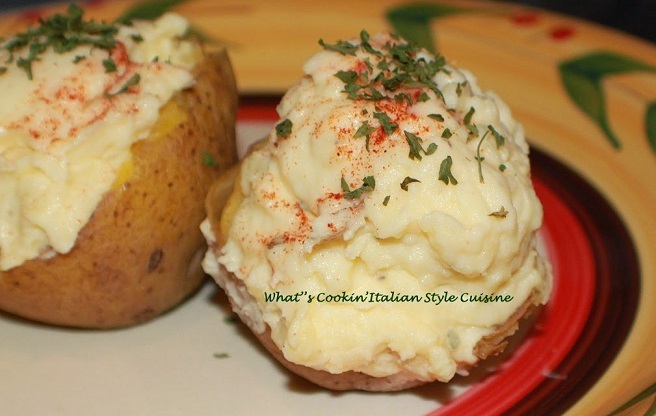 Check out some of these other Potato Side Dishes. These go Great with Everything! I usually roast a chicken, then these are my side dish. These go great with steak, chicken and even a pork roast! Whether you bake these the old fashioned way or use the microwave they will be delicious. When I am in a hurry and just get home from work, I want something quick and easy and these are it! They even go great with my Italian Burgers! These are a great side dish with chicken or any other Italian flavored meal and meat. 4 potatoes microwaved, cut in half and scooped into a bowl (saving the jackets later to fill). I use yellow potatoes. Using an electric mixer beat the potatoes and all ingredients adding a little milk if it's looking dry. Spoon into the jackets, Top with some grated cheese. Sprinkle with paprika and dried parsley. Heat in the microwave when ready to serve or in the oven. These are great made ahead of time.